Are you looking for an amazing toy for your kids? One that will last and will provide them HOURS of entertainment? 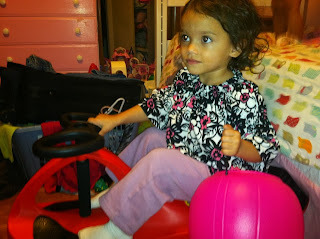 PlasmaCar recently sent us a car to review here on MamaBreak, and we LOVE it!!! If you have never heard of PlasmaCar, it is a car that has no batteries, no electronics, but it MOVES!!! By spinning the handle, the car moves on its own! No worries, it does not travel SUPER fast, so it is super safe! Because it does not have batteries it does not make any noise! 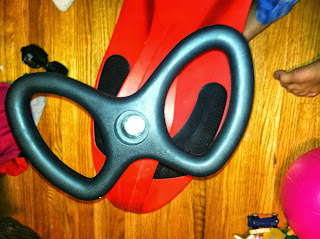 This was especially important to us, as our son hates loud noises. It is also a very versatile toy, as it can be driven by almost every age group. It supports up to 220 pounds, but even the smallest in the family can drive it! Our 3 year old has no problems operating it! 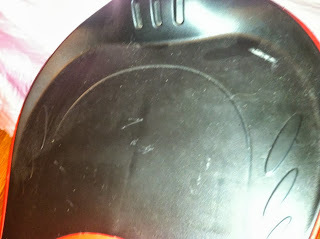 The seat is very comfortable, and the kids do not mind spending a long time riding on it. Around since 2003, PlasmaCar has been around, and has a high quality, much loved product! 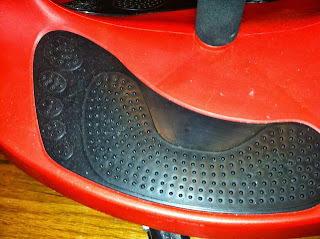 It also has "grips" where the feet go to help with maneuvering! If you are thinking of Christmas (as I always am) this is the perfect gift! We ride it both inside and outside of the house! They also have a new PlasmaBike which is a Balance Bike that moves!!! 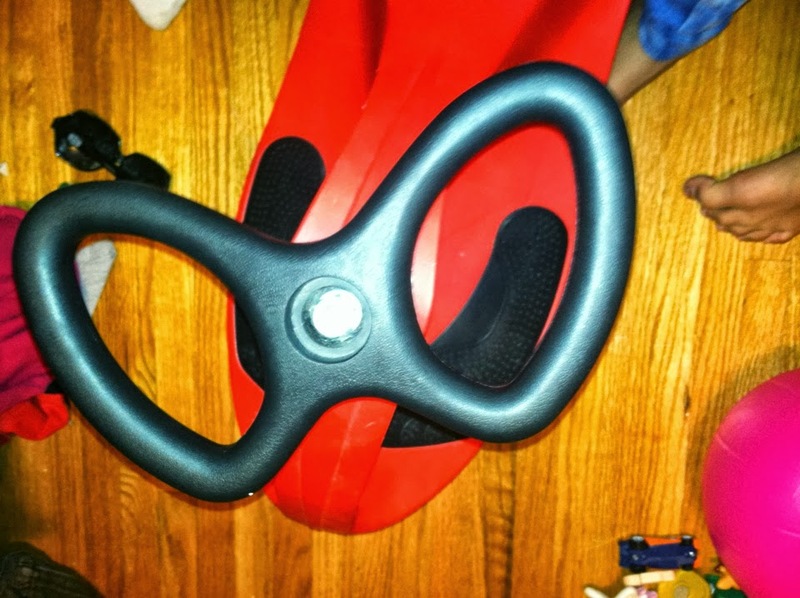 MamaBreak received a PlasmaCar to review here on the site. We did not receive any other type of compensation. As always, our opinions and experiences are our own. I like the original car in red.